Mutter Gottes Kirche, or Mother of God Church, was founded by German immigrants to Covington in 1841. 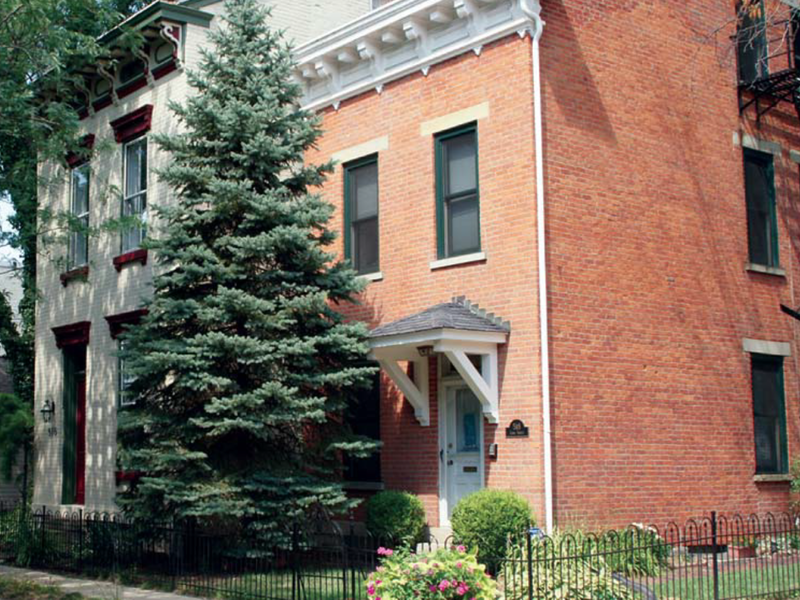 The surrounding neighborhoods of treelined streets and brick town homes is named for this beautiful landmark. 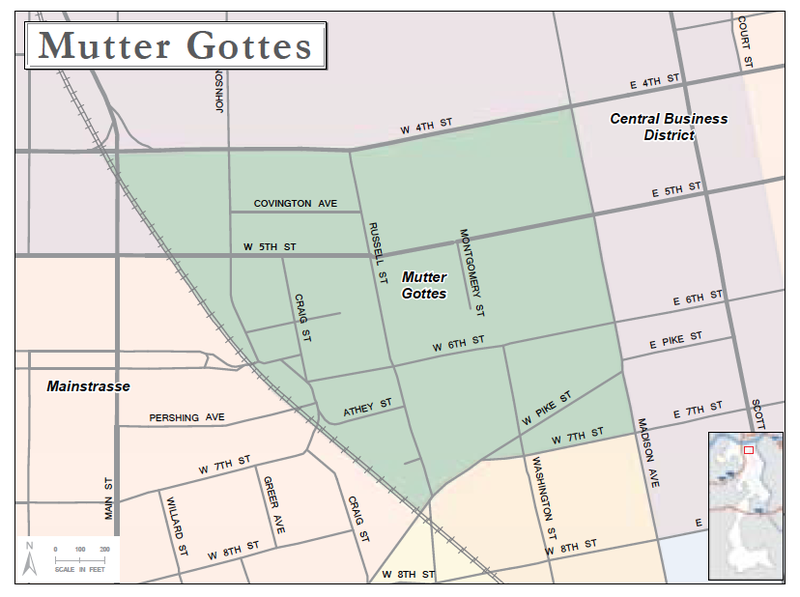 Mutter Gottes neighborhood was one of the first residential expansions of Covington, and most structures there were built between 1860 and 1890. The area bound by Fourth Street on the north, Pike street on the south, the CSX railway to the west, and Madison Avenue to the east is listed as a National Registered Historic District. Noteworthy historic structures include the fire station on Sixth Street and the Albert B. Koett house on Russell Street. A garden at the intersection of Sixth and Craig contains the Neighborhood Mosaic sign. Meets every second Wednesday at 6pm in the Kenton County Library Covington Branch.